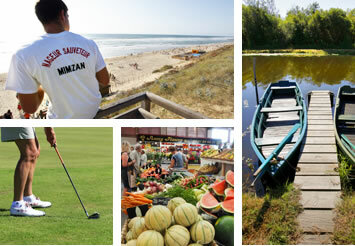 Welcome to the official site of the Mimizan Intercommunal Tourist Office in Landes. This site invites you to discover our destination, unmissable attractions and activities, and the full list of holiday accommodation, restaurants, bars and activities offered by partners of the tourist office. Other useful information is also available for you: entertainment, webcam, weather forecast and ticket office, not forgetting our range of group holidays and holiday offers. The Tourist Office at Mimizan Plage welcomes you all year round.